We’ve all been there – you finally arrive at the hotel after midnight only to find that there is nothing to eat. Even if it is not after hours and nearby restaurants are still open, travelers may just want to grab a little snack after a long day of sightseeing and get comfy in their hotel room. Prime locations for vending machines are places like hotels and train stations, where people are constantly passing through. If your hotel doesn’t already have vending machines you should strongly consider installing our state of the art equipment. Whenever people stop to purchase items from the vending machine they are being served conveniently with quick and easy access to foods, or even things they may have forgotten at home, like toothpaste and phone chargers. You can save the day for last minute tourists by including a selection of travel items or souvenirs in one of our customizable vending machines. You will get full transparency into every transaction via our client specific web based portal that allows for live reporting of machine sales, issues and services. 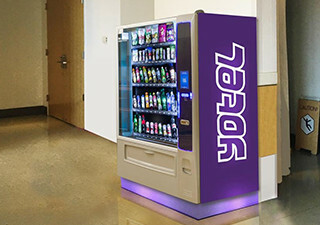 Get High-Tech Vending Machines for the Hospitality World! Vending machines have gone hand in hand with the hospitality industry for decades. While most hotels and motels offer the base-level convenience of traditional vending machines in their hallways, the solutions created by Intelligent Foods on Demand can take things to an all new level. Since our advanced software can be used with all types of payments, hotel patrons can use their phones to charge vending products to their credit cards without having to use cash. No matter what you decide to vend in your hotel, Intelligent Foods on Demand will help you provide the products your customers desire more effortlessly than ever. Whether you run a humble roadside motel or a world-class luxury hotel, we can create the perfect vending machine platform for you. 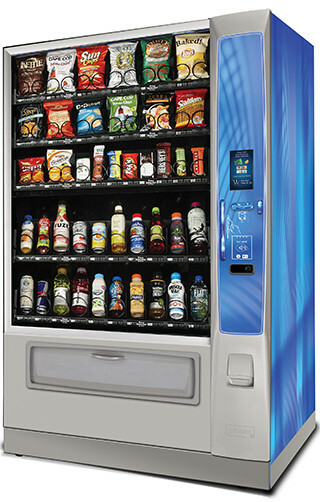 From drinks and snacks to hygiene products, the vending possibilities for your hotel or motel are truly endless. Just imagine allowing your guests to charge food products via their phones, just before taking out a new towel or blanket without calling the front desk. The top hospitality locations in the world are known for their customer convenience, and a vending solution from Intelligent Foods on Demand can make your facility more client-friendly than your competition.